You cannot take me into a Michael’s or JoAnn’s craft shops without me hitting the baking aisle. Not that I am a baker. Far from it. Baking is so precise, while I prefer the more abstract freedom of cooking things like vegetables. However, I cannot go into one of these craft stores without scooping up confectionary decorations like colorful sprinkles and funky cupcake papers. So despite Easter still being several weeks away, the stores are fully stocked with all things Easter and spring. 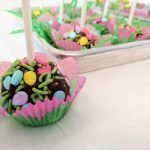 I have made chocolate truffles in the past as they are very easy. Just three ingredients. But since I had invested in a lifetime supply of lollipop sticks and Easter egg sprinkles, I decided to up my game. A little bit. 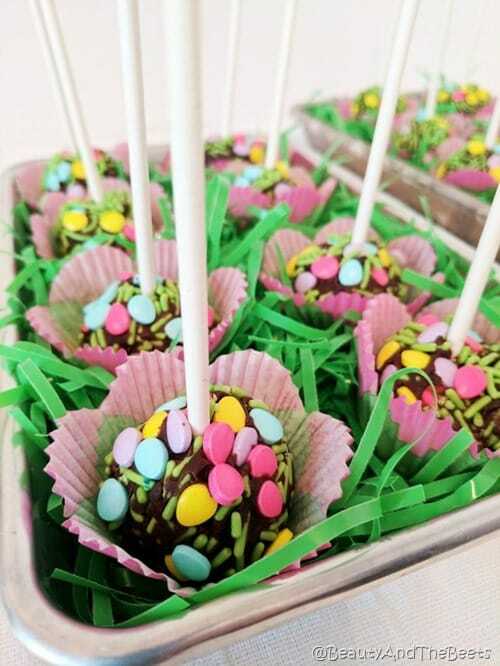 I made my chocolate truffles, stuck a lollipop stick into them and rolled them in some sprinkles. They came out so cute! Even Mr. Beet was impressed. I say that because Mr. Beet takes his sweets very seriously. I bought my supplies at JoAnn’s Fabric and Craft Supplies but everything is available at Amazon as well. I included the Amazon links in the recipe (thank you for your support!) 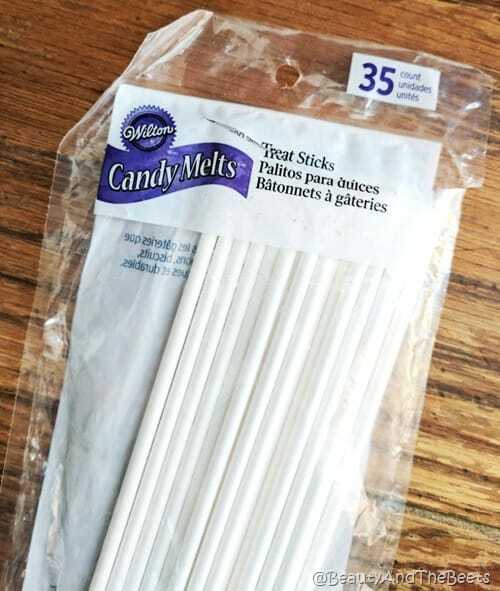 While I used Wilton’s Candy Melt Treat Sticks, but lollipop sticks work well also. 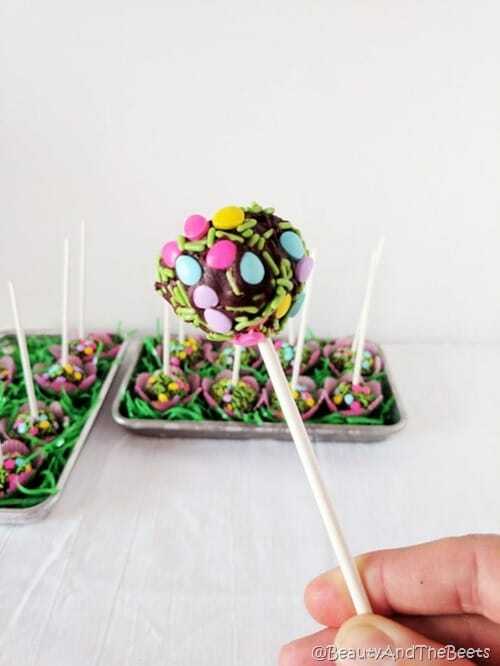 So enjoy this simple recipe and see how creative you can get! Combine chocolate chips and sweetened condensed milk in a large saucepan over medium heat. Stir continuosly until chocolate chips have melted. Add the vanilla, stir well and pour mixture into a medium bowl. Cover and leave in the fridge for 15 minutes. Empty the bottles of sprinkles into a bowl. 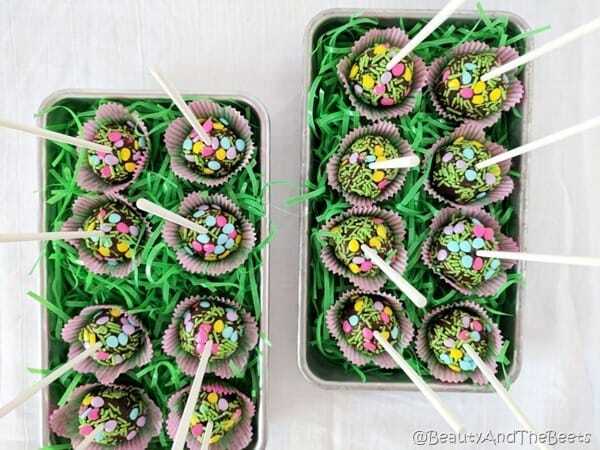 Make about 1" balls with the chocolate mixture and roll the balls in the sprinkles. Press the sprinkles onto the ball so they will adhere better. 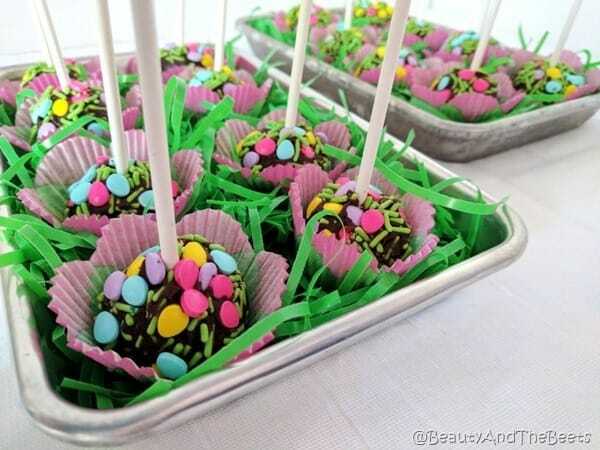 Insert a lollipop stick into each truffle, then place onto a parchment lined cookie sheet. 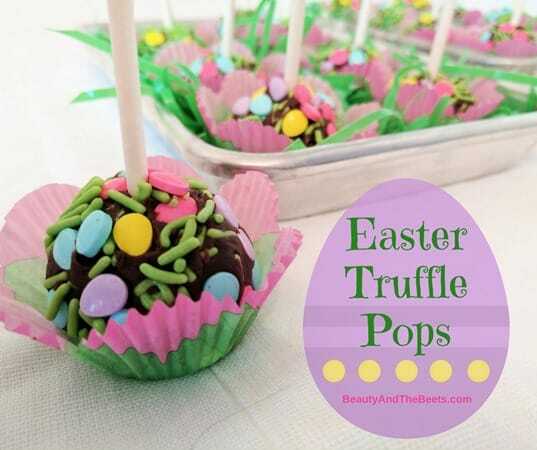 Chill the truffle pops until ready to serve.